Plain White T’s, who visit ‘Steven’s Untitled Rock Show’ (Fuse) on Monday. Civet, who perform on ‘The Daily Habit’ (Fuel) on Monday. Gavin Rossdale, who performs on ‘Live with Regis and Kelly’ (ABC) on Tuesday. A Place to Bury Strangers, who visit ‘The Daily Habit’ (Fuel) on Tuesday. Cold War Kids, who perform on ‘The Late Late Show with Craig Ferguson’ (CBS) on Thursday. Smashing Pumpkins, who perform on ‘Jimmy Kimmel Live’ (ABC) on Friday. Deerhoof, who visit ‘The Daily Habit’ (Fuel) on Friday. Constantine Maroulis, who appears on ‘Don’t Forget The Lyrics!’ (Fox) on Friday. 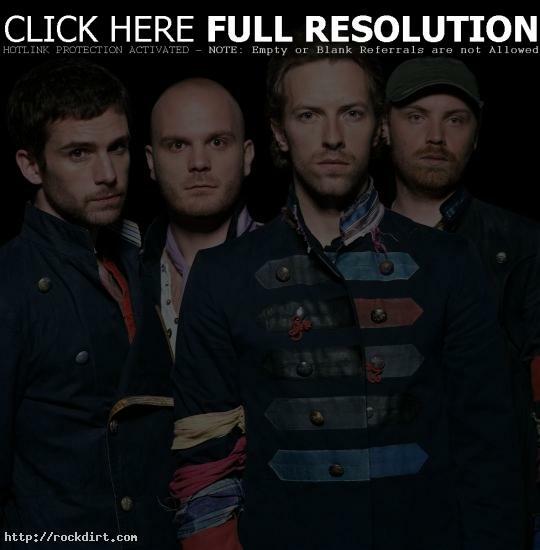 Coldplay, who are musical guests on ‘Saturday Night Live’ (NBC).